The log book is supposed to serve as proof that the truck driver and the company that owns the truck did not violate the hours of service rule, which is part of the Federal Motor Carrier Safety Regulations. We’ve written about this previously, which you can read here. Essentially, the hours of service rule provides that a truck driver may work no more than 14 hours in a day, with only 11 of those hours actual driving time. The rule is intended to limit truck driver fatigue. A truck driver can only operate a vehicle for 8 consecutive hours before taking a break, which must be 30 minutes or longer. The truck driver must record his or her hours of service in a driver’s log book that he or she must keep updated at all times. Every time a driver stops, he or she should note the time and location and how long he or she was stopped. There are many regulations for large trucks primarily because when trucks are involved in an accident, it can be very dangerous for all involved, but particularly a small vehicle against a truck – and anything that’s not another tractor-trailer is small by comparison. Trucks are often weighed down with tons of cargo, and it can take a great distance for a truck to come to a full and complete stop. By the time this is achieved, if a truck has collided with a car, the car and its occupants have come to great harm. 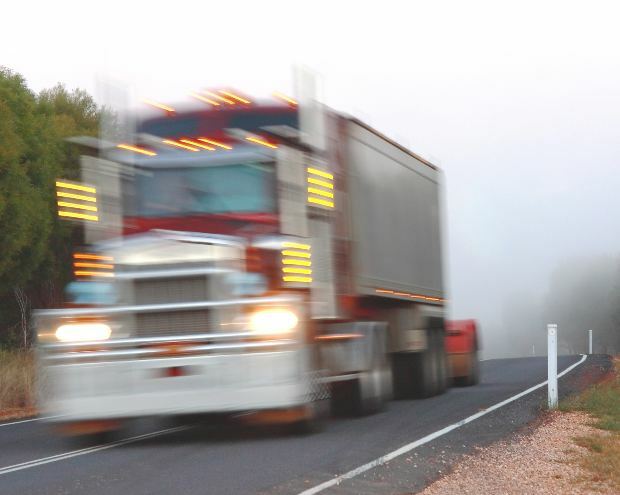 Fatalities are far more common with truck accidents than collisions between two vehicles. If you or someone you love has been injured in an accident with a truck, please contact us. We can assist you with your case against the trucking firm, insurance carriers and other organizations that should be held accountable for their actions. Contact me, attorney Kyle Roby, at English, Lucas, Priest & Owsley, (270) 781-6500 or kroby@elpolaw.com.